read Affordable Peru Tours: Lima & Cusco 07 Days $988 - Peru. Affordable Peru Tours, concentrates on Cusco’s highlights: the Sacred Valley of the Incas, Cusco, and the World Heritage site of Machu Picchu. There are also several circuits on the outskirts of town, which usually include the imposing ruins of Sacsayhuaman or Tambomachay. Visitors can also take part in all kinds of adventure sports and participate in the most spectacular religious festivals on the continent. Come and discover the best of Cusco with Affordable Peru Tours. 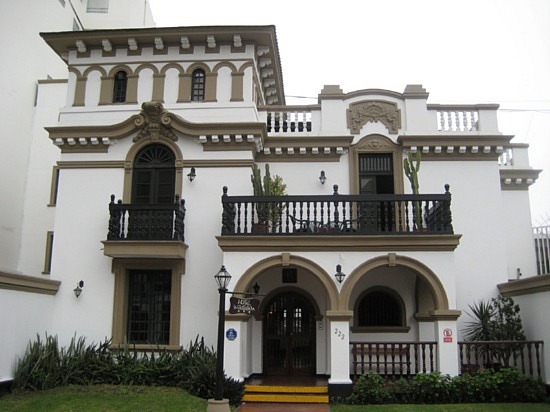 • 1 nights of Hotel Accomodation in Lima. • 1 Dinners: Farewell Dinner Show in Cusco. • 2 Half Day Private Tours. • Affordable Peru Tours: Vistadome Train to Machu Picchu. • Entrance fees to Machu Picchu. On arrival to the International Airport in Lima, our staff will greet and transfer you to La Castellana Hotel. In the morning our staff will transfer you to the airport for your departing flight to the Capital of the Incas. Upon your Arrival in Cusco, we greet you at the airport and transfer you to Andes de America 3* hotel, Brief orientation and a cup of traditional coca tea to assist in the acclimation to the 11300 ft..
Later this afternoon, be fascinated on a guided sightseeing tour of the city constructed on the foundations of Inca palaces. We will start at “Koricancha” or the Temple of the Sun, then pass on to the “Plaza de Armas” where we will enter the Cathedral with its fine wooden sculptures, altars and paintings. Afterwards, we will leave the city to visit Sacsayhuaman Fortress where the Incas’ construction of tightly placed stones created an incredible series of walls, the Temple of Qenqo, the ruins of Puca Pucara and Tambomachay. After breakfast, we travel by bus over a low pass then down into the famous Sacred Valley of the Incas. The scenery is unsurpassable, close and distant snow peaks glistening in the sun. Visit the Ancient Pisaq market, where many of the local Indians sell their hand made textiles. Lunch at the local hacienda restaurant and continue to Ollantaytambo the major Inca temple / fortress. In the morning after breakfast we aboard the Vistadome class train to Machu Pichu. Train journey passes through picturesque Andean scenery, passing traditional villages, Inca ruins and rushing rivers. Breakfast at the hotel, afterward we’ll take the 20 minute bus ride up to Machu Picchu, perched 600 meters above the river. Our guide will explain you the history and the myths that surround this archeological wonder MACHU PICCHU! We use a mixture of hotels, and guesthouses along the way in either shared rooms or doubles. We at Sun God Peru strive to make sure your stay in Peru will be as comfortable as possible. We have visited and tested all of the hotels in the area and are convinced that the ones we offer provide the very best service there is at the best value. Only 3 blocks away from the Pacific Ocean, within walking distance of shopping, commercial and cultural areas. La Castellana hotel is a high rise contemporary building with rooms featuring 32 inch flat screen TV, am/fm radio, minibar, safebox, heating, modem and fax jack, direct dial phone, hairdryer and110v – 220v in bathrooms, air conditioning and soundproof windows. The Best Western Los Andes de America is located 2 blocks from the Main Square of Cusco city. Our hotel combines colonial architecture with modern infrastructure. We provide a high quality and personalized service, we manage environmentally responsible processes and we promote the sustainability of our tourist activities. Visitors to Machu Picchu will enjoy their stay at the Hostal El Santuario Hotel. The hotel boasts salon, boutique, restaurants, room service and dry cleaning and laundry among its services and amenities. Book your room now at Hostal El Santuario Hotel in Machu Picchu via our secure online booking form. The first step is to enter and submit your travel dates in the spaces provided. Transfers, Hotels for 6 Nights, 7 Breakfasts, 2 Lunches, 1 Dinner Shows, domestic flight from Lima to Cuzco and back, VIP Lounge at Lima Airport and all applicable taxes. Food Includes: All meals as indicated (B=Breakfast, L=Lunch, D=Dinner); most of our hotels offer free continental breakfast. Group & Staff: Min 2, Max 16; Tour Guide. It does not include airfare from your home to Lima and return, Domestic Airfares, airport departure taxes, alcoholic beverages, special gratuities, phone calls, laundry, or items of a personal nature. Before booking, it is important to have read and understood the Terms and Conditions. Please bear in mind that significant price reductions are available for groups. Etiquetado affordable peru tours, Cusco, fixed departure peru group tour, group tours, lima and Cusco 7 Days, Machu Picchu, peru group tours 7 days, peru travel and tours, sacred valley, tailor made tours.